An aquarium is living art, enlivening your environment with beauty, color, movement, light and sound. A well-designed and professionally maintained aquarium can provide your lobby, office, conference or waiting room with an engaging view and calming focal point. When installed, every Tropical Dreams aquarium is fully operational, including fish, food and timer-actuated lighting. All that remains is to enjoy the scene. Each quote is itemized, outlining all materials and equipment used in the installation. No detail is overlooked. Parameters are selected by aquarium type, size and more than twenty years of experience. Each system is guaranteed to perform as intended with zero shortcomings. The location of the aquarium is critical. Factors such as room size, window exposure, electrical and water locations determine aquarium placement. We consider all aspects when selecting fish for your aquarium, whether adding to an existing population or starting fresh. Shape; try an interesting mix! Two types of filtration methods are used. Closed systems employ filters inside the aquarium under the substrate for biological filtration. In addition, high capacity water pumps, canister filters with mechanical and chemical properties and water chillers are also installed inside the cabinet or wall. 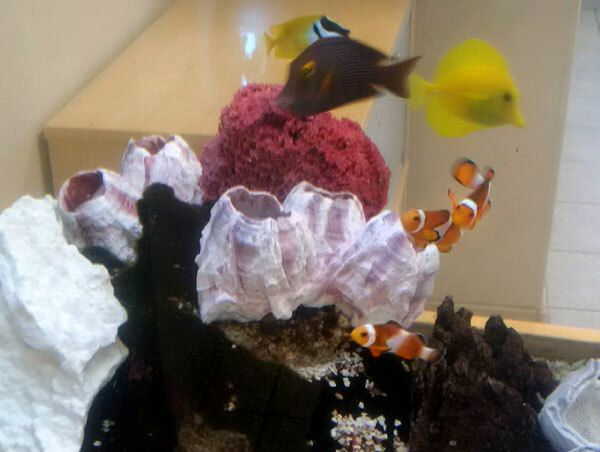 Read more about filtration systems and the importance of valves used in aquarium design. Open systems use a surface mounted water skimmer with plastic biological media, a wet/dry filter, high capacity water pumps, canister filters and a water chiller inside the cabinet or wall. Each system is used specifically for different environments. 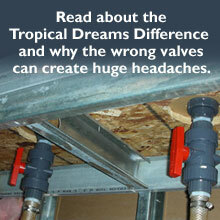 Tropical Dreams will ensure that you have the optimal system for your environment. *with 6-month service on 55+ gallon aquarium within Tropical Dream's service area in metro Phoenix. Call 480-752-3474 to schedule a visit. Tropical Dreams Aquariums, Inc. © 2019. All rights reserved.